Obesity and weight gain are two biggest problems that people face these days. Excessive fat in one’s body is the reason behind so many health related problems. To get rid of extra fat, people join gyms and do cardio workouts. But doing just cardio and keeping the diet in control won’t help you achieve what you really want. What does cardio actually do? Cardio shrinks down both your fat and muscle and leaves you skinny. Strength training along with cardio and low carb diet is the right way to lose fat and stay fit. Most of the people resort to cardio when they start training and exercise to lose fat . Cardio is good and very much essential because it burns down the calories. But, the most of it is achieved only when it is combined with strength training and low carb diet. The triple combination of strength training, cardio and low-carb diet will burn fat much faster than cardio and diet alone. In terms of body building it is known as ” cutting up“. Now while you are about to start an exercise routine, you must always consult your doctor. He/she is the best person who can draft an effective routine suitable to your health conditions and requirements. 1. Take Cardio as secondary one. The best way to start with is swapping the treadmill because it involves resistance training. these must be the base of your workout routine. 3. Suppose you are going to gym thrice a week, focus on strength training with strength equipment like dumbbell hexagonal, barbells, dumbbells etc for two days. The third day you can devote to cardio. 4. Now, if you are getting bored with the treadmill, try something new like kettle bell swings, workouts with ropes etc. 5. Coming to the most important part of an exercise routine “ rest”. How long should these rest periods be? Remember this calculation in your head, if you are 30 seconds on, then you need to go 60 seconds off. This is how you need to balance your exercise routine and rest time periods. 6. While you do not want to get injured during your exercise routine, but still want to burn down fat, do some pulls and pushes. Bends, pulls and pushes will work well for you and burn down a lot of fat. 7. Do not involve yourself in heavy workout routine at the very first attempt. It will make your body fall sick and you won’t be able to exercise. 8. Last but not the least is cleanliness. While you are working in a gym, you sweat heavily, similarly your co gym mates. To avoid any disease or infection from this sweat, always use gym wipes. These have some disinfectant properties and will keep you clean. 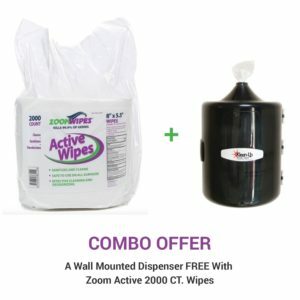 Use gym wipes to keep yourself clean as well as clean up the gym equipment with it before and after you start a workout. These tips will significantly help you to cut down some of your body’s fat and gain muscle. Strength training with strength equipment involves a lot of body strength. You need to put in your 100% to achieve the best results. While you search on the Internet, you will find a lot of tips to cut down fat. But most of them are not valid or are of no help. But the triple combination of cardio, strength training and low carb diet will help you lose weight faster.